Each month, the non-profit organisation, Business For Calderdale, teams up with the Halifax Courier and makes an award to a company who the judges feel is flourishing and deserves recognition. Pexa were delighted to receive the Business of the Month award for November 2016 and last February 14 they met other monthly winners at Croft Myl. Another recognition of the great effort and achievement of Pexa! We hope that all these awards will give Pexa more visibility (and new votes!) for The European Business Awards. Nyco and Socomore companies members participated this week in a French – Japan cooperation mission with GIFAS . Thirty-four French aviation, space, defence and security manufacturing companies took part in a mission to Japan from 20–22 November 2016 to boost French-Japanese cooperation. The main purpose of these encounters, apart from promoting the French aerospace and defence industry and the quality of equipment produced by its members, is to capitalise on France’s prowess in the civilian and defence sectors, and foster new industrial partnerships. The mission leader, Mr Marwan Lahoud, Chairman of GIFAS and Executive Vice President – International, Strategy and Public Affairs of the Airbus Group),was accompanied by five GIFAS Board members. By creating this opportunity to meet and enter into discussions with Japan’s industrialists they aim to strengthen the strategic French-Japanese partnership, by emphasizing the French manufacturers’ resolve to cooperate with their Japanese counterparts over the long term. Who was the winner of Halifax Business ? And the winner of Halifax Business of the Year 2016 is…. Pexa!! 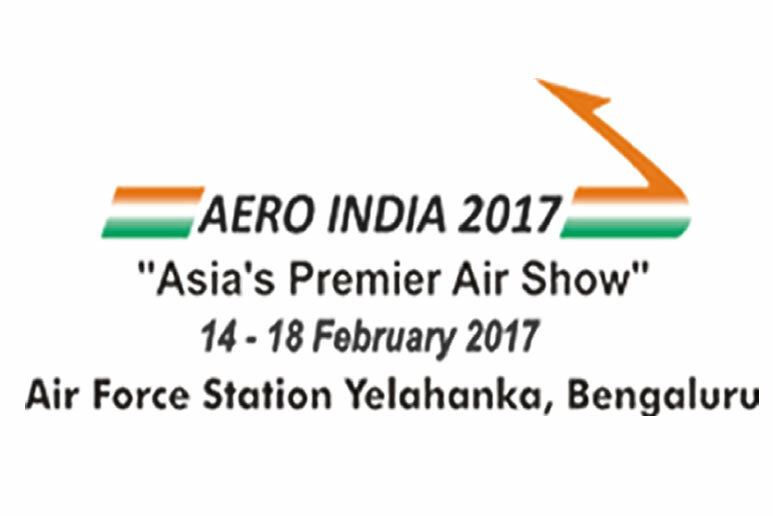 Our supplier of surface coatings to the aerospace industry, Pexa Ltd, is very pleased and proud to be recognised with this award. Sponsored by Riley & Co. this award is for the top business,which meets the criteria off “being able to demonstrate successful year on year growth in its sector, and having a strong commitment to innovation”. 2015 – 2016 has been a significant year for them. Moving to new premises and opening new sales offices in France and India has projected Pexa on the international stage and it is very encouraging for the team to be awarded this high-profile honour. Congratulations to Pexa team!! We are proud of having so dynamic members. 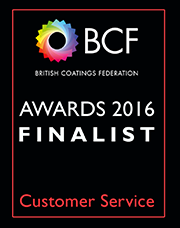 The winner of the British Coatings Federation’s Customer Service Award will be announced next Thursday 24th November in Knutsford (UK) and Pexa is one of the companies selected in the final shortlist. We will be attentive next November 24th and keep you informed!!! It is official… Spectronics Corporation, manufacturer of Spectroline® products, becomes Aerochemicals’ 14th member! Thanks to all of our valuable members, the Alliance creates a global business network allowing our member organizations to position themselves as leading suppliers for OEMs, MROs and Airlines. Founded in 1955, Spectronics Corporation is the world’s leading manufacturer of ultraviolet equipment and fluorescent materials. Their products are utilized for literally hundreds of markets and applications that demand uncompromising quality and reliability. They offer a full line of Spectroline® high intensity and compliant LED inspection lamps and equipment designed to meet the growing demands of the non-destructive testing industry. Their state-of-the-art products are built to exacting engineering standards at headquarters in Westbury, New York (USA). 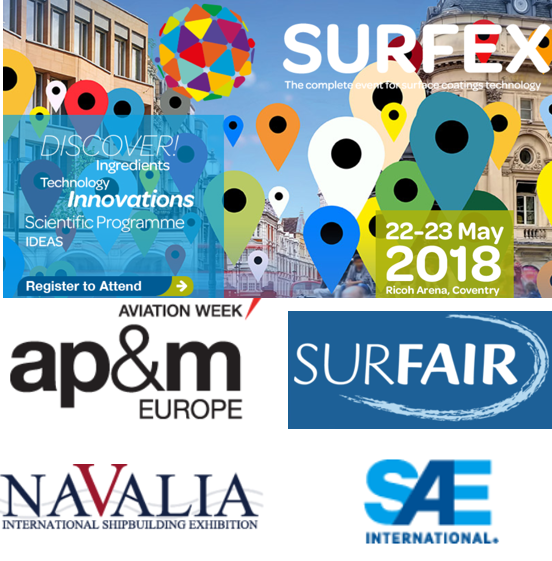 Pexa, the official distributor of surface coatings and treatments to the aerospace, defence and electronic industries, also supplies products and services to the NDT industry. Pexa is the official distributor for NDT Products from Sherwin Babbco (Socomore NDT) and Sherwin Inc as well as the official distributor for Spectronics who manufacture the Spectroline range of inspection lights. 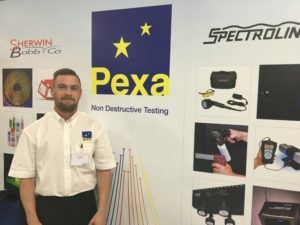 Pexa have decided to expand their NDT team with the appointment of John Haslam who will provide a technical and support service to customers in the UK. John has over 8 years’ experience of hardness and conductivity testing and liquid penetrant inspection as well as 4 years’ experience in magnetic particle inspection. He said ‘I’m really looking forward to developing relationships with customers. NDT is a growing business for Pexa and I’m very pleased to be involved’. (Cary, N.C. – August 29, 2016) – LORD Corporation has agreed to divest its Aeroglaze® and Chemglaze® product lines and license LORD® UltraConductive™ lightning strike protection (LSP) products for worldwide sales to Groupe SOCOMORE S.A.
LORD, however, will continue to manufacture all products for SOCOMORE through a toll manufacturing agreement. The acquisition, expected to close by the end of September, will not impact any LORD employees. 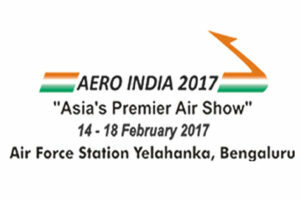 Aerospace coating customers will benefit from the consolidated expertise of both companies in this strategic agreement.